Eaton senior James Howard possesses the ball during the Eagles home contest with Oakwood on Thursday, Aug. 23. Eaton suffered its first loss of the season, 4-0. 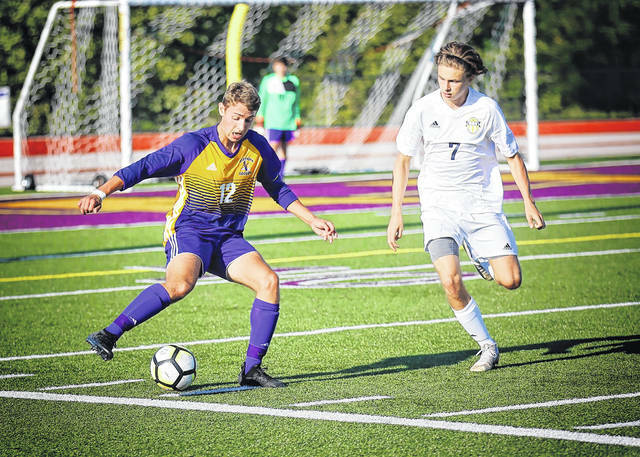 EATON — Eaton’s boys’ varsity soccer team opened the season with a stretch of tough matches, including Southwestern Buckeye League contests against last season’s top three teams – Bellbrook, Monroe and Oakwood. 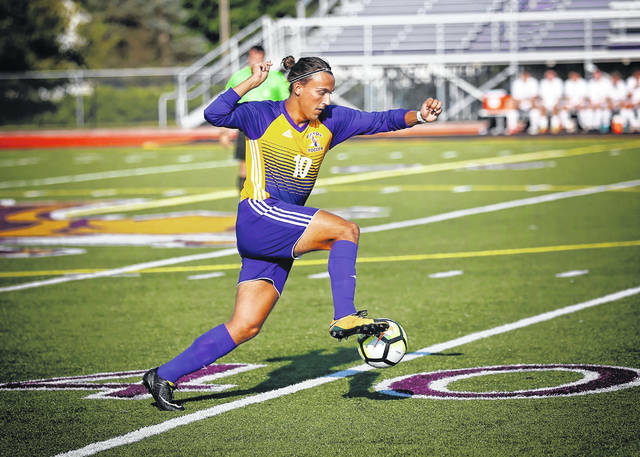 Two games in, the Eagles are 0-1-1, but are struggling to score in the early going. Eaton played a very competitive match against Edgewood to open the season on Friday, Aug. 17. Both teams played teams played well in the middle of the field, but were not able to generate scoring chances. The match ended, 0-0. On the following Thursday, Eaton continued to struggle offensively, dropping its SWBL opener to Oakwood, 4-0. Eaton was set to host Monroe on Tuesday, Aug. 28, and then travel to Bellbrook on Thursday. 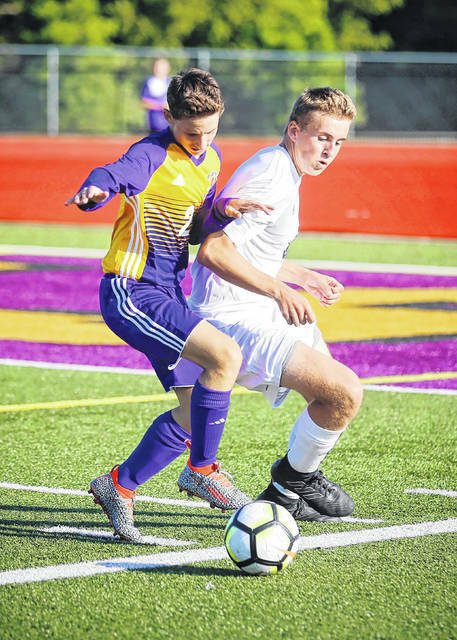 https://www.registerherald.com/wp-content/uploads/sites/41/2018/08/web1_EATON-BSC-OAK-1.jpgEaton senior James Howard possesses the ball during the Eagles home contest with Oakwood on Thursday, Aug. 23. 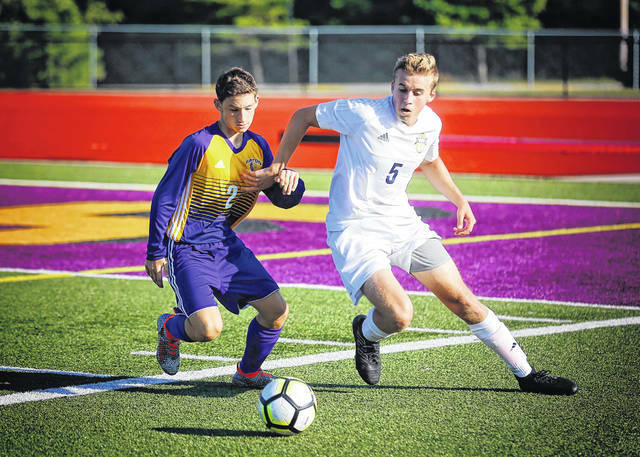 Eaton suffered its first loss of the season, 4-0.